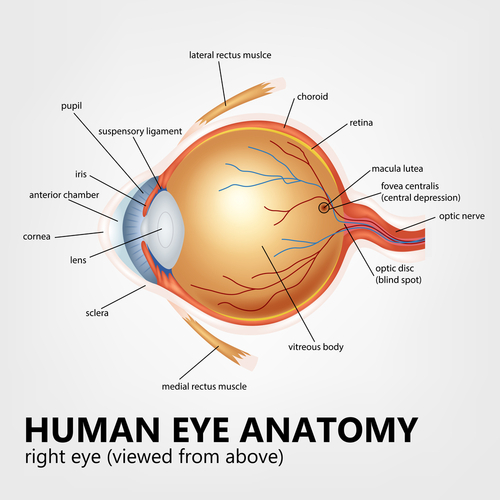 Eyes with wet macular degeneration will try to develop new blood vessels when they are lacking oxygen due to poor circulation or because the tissues are clogged. However, the blood vessels that develop are abnormal and they leak. When these abnormal blood vessels form behind the retina and start to grow in the macula the leaking blood and fluid cause damage to the macula and results in distorted vision and loss of central vision. Wet macular degeneration treatment currently targets these leaky blood vessels in and round the macula with a class of drugs called anti-VEGF. VEGF stands for vascular endothelial growth factor which is a protein that stimulates the development of these abnormal blood vessels. Drugs like Lucentis, Eyelea and Avastin target the suppression of VEGF-A to halt or slow this blood vessel growth. However VEGF-C and VEGF-D also contribute to this aberrant growth which is why these specific proteins are the focus of a new study that combines the suppression of VEGF-A, VEGF-C, and VEGF-D. According to a recent press release from the researching company Opthea,"Combined inhibition of VEGF-A and VEGF-C/-D, has the potential to improve patient response by more effective inhibition of the pathways involved in disease progression."